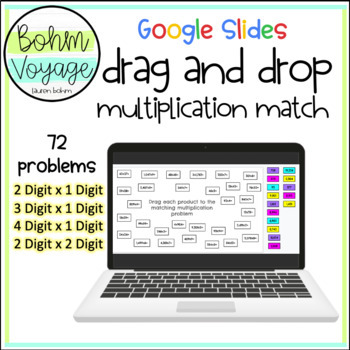 Provide students a resource to practice their multiplication! Students choose a multiplication problem on the Google Slide to solve. After solving, students drag the matching product and drop it on top of the multiplication problem.